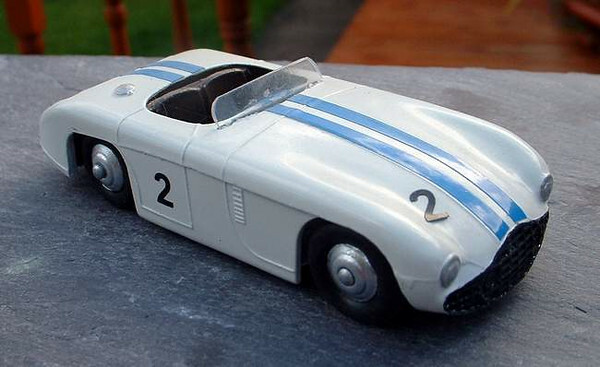 Restored Cunningham C.5.R from the 1953 Le Mans 24 hours where it finished 2nd driven by John Fitch and Phil Walters. Model by DINKY. Credit: http://server17.dedicateduk.com/~bruce/cgi-bin/diecasts.html.